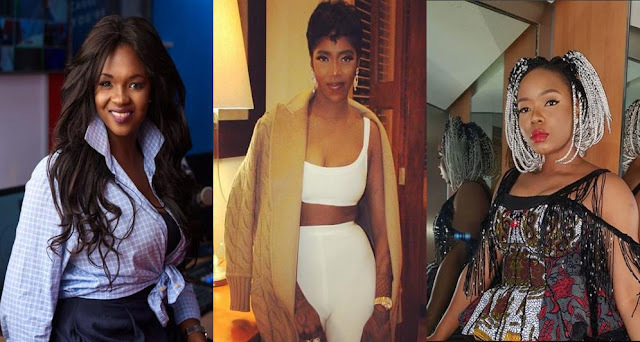 Gossip Here Is All You Need To Know About The OAP's Controversial Statement That Prompted A Fresh Beef Between Tiwa Savage And Yemi Alade. Here Is All You Need To Know About The OAP's Controversial Statement That Prompted A Fresh Beef Between Tiwa Savage And Yemi Alade. 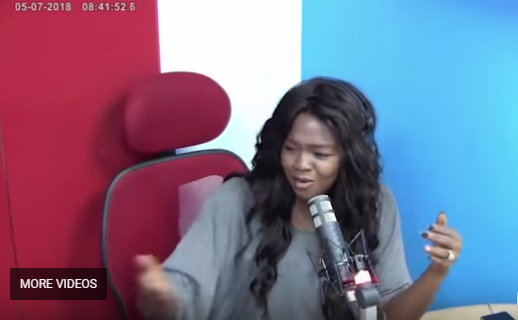 You might have heard about what is recently trending in the Nigerian music industry, precisely the debate on "who is better than" and about "women supporting each other".Also being discussed is how to be neutral as a broadcaster while on air because "RADIO IS NOT ABOUT YOUR PERSONAL FEELINGS",and as well as respecting other opinions. We wanted to confirm all what is going around,so what exactly prompted this? 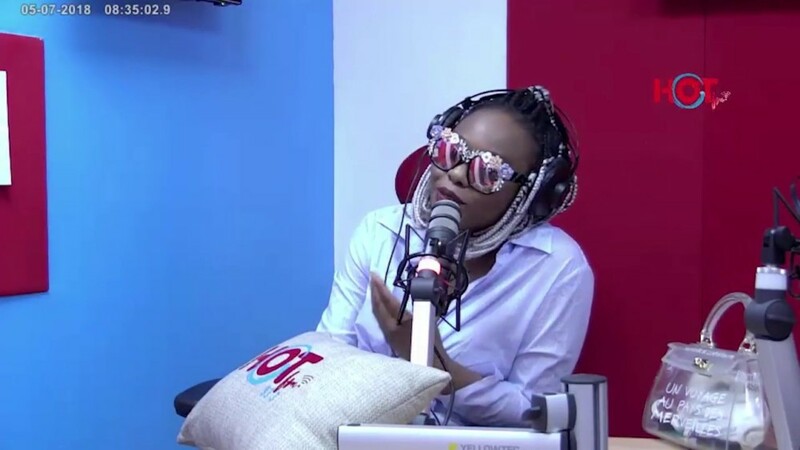 Nigerian female singer,Yemi Alade was on air as a guest on Hot FM's show "Koffee Gang",whose hosts were Misi and Uche Agbai,the singer, Yemi, talked about her music,Nigeria's challenges,touring the world etc. Reaching the end of the interview, Yemi Alade was asked about her feelings about the comparison in the music industry, and at first, one of the host Uche Agbai, didn't want call names, but Yemi Alade insisted,asking him to feel free. Well,he later mentioned two female Nigerian musicians, Tiwa Savage and Seyi Shay, that was where fellow host,Misi,cut in saying. “No, I don’t think so. I really do not think so at all. I don’t think they have the range she does. Personally speaking, I’ve heard Tiwa in public… and she shouts. I’m not hating, I’m just stating the facts”. The "Johnny Crooner " Yemi Alade, went further to talk about comparisons where she said she motivates herself to be better instead of comparing herself with others . She then proceeded to quote an individual who said “there’s actually no number one” and everyone is competing to become number one. Meanwhile this statement was made before she stated that she loves the healthy competition that has been initiated in the Nigerian music industry. “The truth is, there’s no number one,” she said, adding that because the top 5 artists in Nigeria can shut down the same capacity venues. The famous musician, Yemi Alade, went on to say what Wizkid and Davido are capable of doing,she can also do same.She said she also shuts down the same venues Wizkid and Davido shuts down in Africa. Well, some people feels Yemi Alade's achievements are been underrated underrated, others feel she should not compare herself with Wizkid and Davido. Meanwhile , Misi’s statement was criticized by another OAP ,Dotun of Cool FM,he took to the social media,precisely his Twitter page to state his opinion. "Now I saw the Tiwa story and this is my take on a few OAPs. It is okay to have an opinion but you shouldn’t cos of the ethics but if you must, stop pulling off a “Chalarmagne” on things you know nothing about or things that are clearly not true.The will to be popular amongst a few OAPS cracks me up. It is not by being controversial or daring. I am all of these but be objective while u are at it. meet one young girl or guy that can blow phonetic like us forgetting they need to go through the REAL exercise of BROADCASTING. A few of these OAPS forget the word ETHICS. They just want to talk fromtheir a** .As for Yemi, the real reason why women in Nigeria can not boast of the huge numbers in music is cos you don’t support each other. So, all these advocacy of “support our ladies” is a hoax cos you ladies are actually the problem. The guys already love you, so what is the problem? right questions Enjoy Radio for what it is worth. @ TaymiB & I are overly the most controversial on radio but there is a RULE. The rule is say what u know, what is fact, what is objective, what is ethical. As an OAP, u shouldnt have absolute POWER. It is a microphone meant for the people not YOU. The tweets made by Dotun's,drew the attention of Sensei Uche, who shared a link to the full interview with Dotun. Dotun: and what is the whole country privy to? Please I want to know. Sensei stop this cos you are actually sounding a bit out of line. With which Dotun replied: We have caught up so many times. I don see you plenty times and we don hail well well .. you are still missing the point. This is not about what I like, whether you like it or not we all HAVE a code of conduct. Every profession have rules. U can’t replace that with an opinion.